The game of rugby is widely played across the globe. There is lot of fun associated with this game. Watching the players, competing for holding the ball gives awesome experience. The most important part of this game is rugby uniforms. It is mandatory for the players to wear these in order to get on the ground. The manufacturers are offering their collection in the comprehensive range of designs and shades. The most popular form of designs which are required by the teams include customized designs. The customized uniforms are specially created in accordance to the designs related specifications. The teams and clubs are looking for dresses which can provide them unique identity. For this purpose, the designers create collections having special motifs and color combination. During the game, the players have to sweat hard. So, all they need is the comfy range of outfits. The manufacturers pay utmost attention to this. They create collections using brilliant range of polyester fabric. The outfits manufactured using this fabric provide wide flexibility to the players during the game. While putting these on, the players can easily run and play the game. 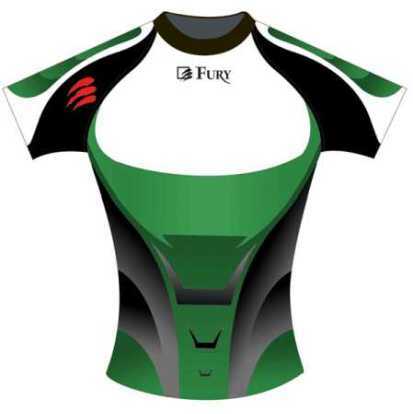 In addition to this, the custom rugby uniforms manufacturers are employing advanced machinery of stitching and cutting in order to provide seamless finishing to the products. Moreover, the use of sublimation printing helps in providing impeccable designs on the fabric. Buy directly from the leading Rugby Uniforms Manufacturers - Formative Sports at best price.